Modern genome engineering technologies have enabled the rapid and precise editing of DNA, causing a paradigm shift in biotechnology: with the focus shifted from reading to writing genetic information, which of the three billion DNA letters in a human cell need to be rewritten in order to prevent disease, live longer, or encode entirely novel features? The project we are hiring you for is about building a web-based application for computational aided design of cells. Communicating with biological knowledge bases and mathematical models (mechanistic and AI-based), the platform will guide engineers in writing the right DNA based on the entire computable knowledge available for a cell. We are looking for a full-stack developer. You will be dealing with biological concepts every day, discovering the best user experience for interacting with DNA and its encoded information. Deep understanding of biology is not a requirement though, most of the developers in the institute were able to gain the necessary knowledge after joining our team. You will join the DNA Foundry group at the Center for Biosustainability but regularly interact with other engineering teams working on related applications and products. Working with subject matter experts to develop back-end services that expose computational biology and machine learning based technologies for predicting the biological effects of DNA changes. Interacting with users through sprint reviews and usability tests to develop the right product and user experience. You are also expected to be able to work in a highly collaborative environment, inside the team as well as with external scientific users and engineers. Thus, fluent written and spoken English is essential. Proficiency in Danish is not a requirement. We offer an interesting and challenging job in an international atmosphere with the focus on research, teaching, innovation and scientific advice for the benefit of the surrounding community. We place emphasis on a high level of professionalism among our staff, so skills development is an integral part of our organization. We offer a great flexibility in the position. 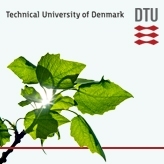 In the area of technical and natural sciences, DTU is one of the leading research and education institutions in Europe. The appointment will be based on the collective agreement with the Confederation of Professional Associations. The allowance will be agreed with the relevant union. The period of employment is two years. The working place will be at DTU Lyngby Campus. Please submit your online application no later than 15 April 2019. Open the “Apply online” link, fill out the form and attach your motivated application, CV and exam certificates. If you would like additional information about the position, please contact Scientific Director, Ryan Gill at rtg@biosustain.dtu.dk. All interested candidates irrespective of age, gender, race, disability, religion or ethnic background are encouraged to apply. The focus of The Novo Nordisk Foundation Center for Biosustainability is synthetic biology and strain design. Living cells are being genetically modified in order to produce chemicals in a sustainable way. The list of things that can be made by engineered strains includes biofuels, bioplastics, drugs, food supplements and much more. DTU is a technical university providing internationally leading research, education, innovation and scientific advice. Our staff of 6,000 advance science and technology to create innovative solutions that meet the demands of society, and our 11,200 students are being educated to address the technological challenges of the future. DTU is an independent academic university collaborating globally with business, industry, government and public agencies.